HOT – Bypass for All Samsung devices J5, J7, A3, A5 ,A7 ,A8, A9, S6, S7 Note 5 Note 7 Android 6.0.1 HERE. Here we are going to describe the detailed info about how to bypass frp locks on marshmallow android version, which was not supported by old methods like OTG cable process,SideSync process.so, we are here for you on 100% Frp unlock on 2016 models. Connect the phone on WIFI . First you have to find out the Samsung mobile usb modem port. 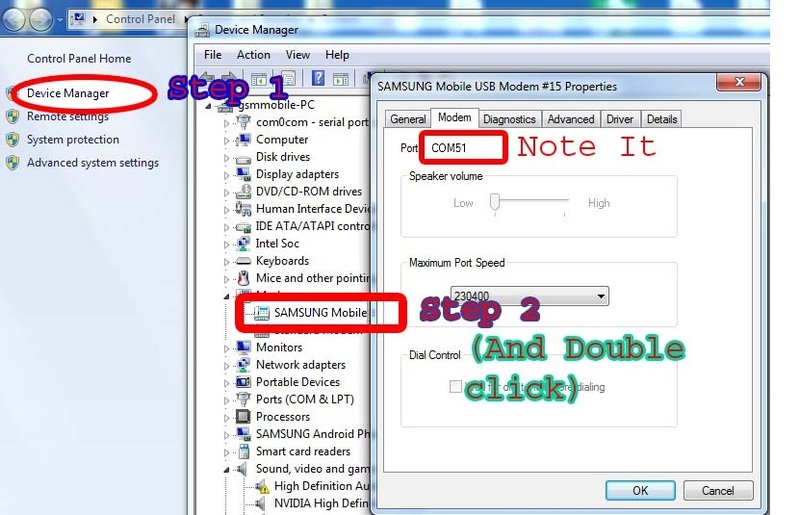 Double click on Samsung mobile Usb modem port and goes on modem.you have to note port for selecting on RealTerm app. Here is the image that clearly shows which port you have to remember. 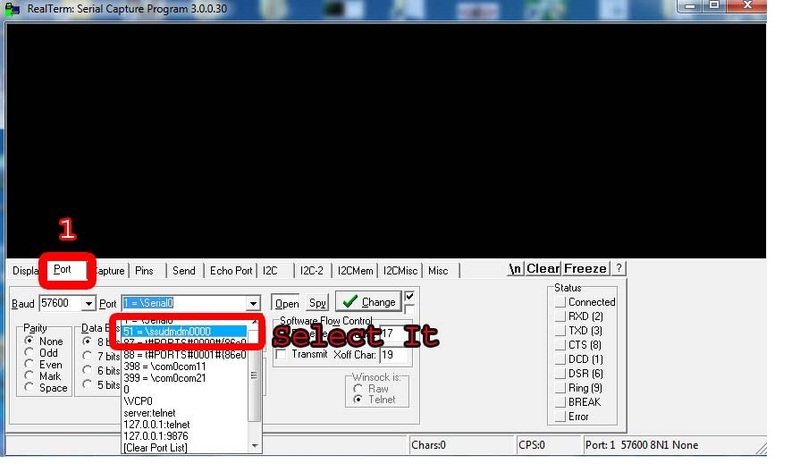 Select the port option on RealTerm:serial capture program 3.0.0.30 and select correct port of Samsung mobile Usb modem . 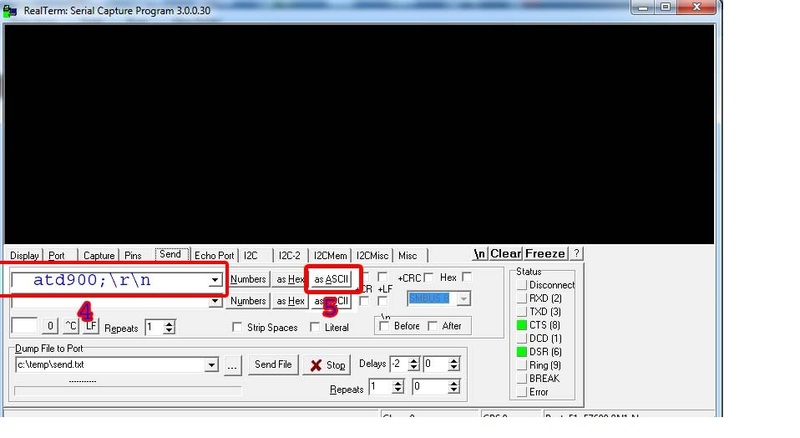 Click on send button on software. First give this command ( at+creg?rn ) and click on asASCII buttom . Second give this command ( atd900;rn or atd1234;rn ) and click on asASCII buttom . After give that command phone was automatically call on 900 tap end call and tap on add contact and save it.scroll at last. Click on scan business card. Then you have got a access to play store. Use Samsung account to sign in to download app from Play store.If you don`t have Samsung account this post is useful for you here. Download the ES File explorer application and install it. Copy on Memory card . Setup app from MMC and open it. Now click on right crosser on browser sign in . Now the frp bypass phone on your hands then finally make the setup process on phone. If you have any problem or any question fell free to tell us from our contact us page.